17 Seconds: Hi Richard! How are you, where are you, and what’s the weather like? Richard Thompson (RT): I am fine, I’m in New Jersey. The weather is changeable, to say the least. 17 Seconds: You’ve just released 13 Rivers, your new album. It’s the first one you’ve self-produced in a while, and the record burns with an intensity, lyrically and musically [i mean this as a compliment]. What can you tell us about the creative process of writing and recording the album? RT: I wrote the songs in the space of about 4 months. I find it hard to describe the actual creative process, as it seems to be a semi-conscious thing. We recorded it analogue at Liberace’s old studio in Hollywood, in about 10 days. 17 Seconds: You’re now based in the States. What prompted your move there, did it change how you made music and what do you miss about the U.K.? RT: I’ve been based in the States for about 30 years. Basically I work here more than anywhere else, so it makes sense in terms of travel. Culturally I find it fairly neutral. 17 Seconds: In 1991, you released ‘Vincent Black Lightning 1952,’ on the album Rumor And Sigh. Is it true you researched the song and how long did it take to write? RT: When I was a kid, a neighbour had a Vincent Black Shadow, just a gorgeous bike, and I think that stayed with me. Before writing the song, I wanted to know everything about it, so I studied the history, got the workshop manual – then I could write with a bit of authenticity, and of course leave most of the stuff out. It took a couple of days to write, after a few false starts. 17 Seconds: You played on Nick Drake’s Five Leaves Left. What are your memories of the sessions and the man himself? RT: I knew Nick because we had the same management and record label, so I’d see him around and about, but he didn’t say much – neither did I at the time. I always overdubbed on his records, when he wasn’t in the studio. 17 Seconds: 1969 must have been a busy and intense year for you and Fairport Convention. What are your recollections of the year? 17 Seconds: What, if anything, does the term ‘folk music’ mean in 2018? RT: To some, folk means traditional, to others, it just means acoustic – so I avoid using the word. I’m glad that more rootsy music is closer to the mainstream these days. It used to be tucked away in a very separate world, Now people are more aware of Eliza Carthy or Kate Rusby, for instance. 17 Seconds: Who, if anyone, do you consider your musical contemporaries? RT: The survivors of Fairport, Steeleye, the Albion Band…and singer-songwriters like Loudon Wainwright and John Prine. 17 Seconds: You celebrate a, um, significant birthday next year. How will you mark it? RT: I shall hide in a cave. 17 Seconds: Finally, what music are you listening to at the moment? RT: Wildwood Kin, Offa Rex, The Rails, Lots of dead people. 13 Rivers is out now on Proper. Richard Thompson’s UK tour starts on October 11 (see here for details). There’s no shortage of half-century anniversaries to mark in the music world this year. Whether it’s Sergeant Pepper, Forever Changes or The Velvet Underground & Nico (to list three of a very long list indeed), it’s important to note that this year marks fifty years since Richard Thompson, then still a teenager, co-formed Fairport Convention, thus paving the way for British folk-rock. Since then, of course, he’s been very highly regarded – and perhaps surprisingly, his highest charting works solo have been over the last ten years. One of those was the first Acoustic Classics album. As with this volume, it’s not a stopgap release. Rather, whilst an excellent electric guitarist and bandleader, the strength of Thompson’s singing, guitar playing and songwriting means that stripped down to just voice and acoustic guitar the listener gets a new insight into fourteen songs from his spectacular back catalogue. It’s a fairly wide selection across his career. From the Fairport Convention days there’s ‘Crazy Man Michael’ and ‘Meet On The Ledge;’ from the days when he played with his wife Linda ‘Jet Plane In A Rocking Chair’ and from the last thirty years there’s ‘Pharoah’ from Amnesia, ‘Keep Your Distance’ from Rumor & Sigh (a contender for his best album) and ‘Bathsheba Smiles’ from Mock Tudor. They may be less well-known songs than those represented on the first Acoustic album, but none the worse for that. What both Acoustic albums – and there’s more on the way, apparently – manage to achieve is that due to to the sheer magic contained within, they stand as albums in their own right. This album is perhaps darker – demonstrating that along with the humour displayed in his work (check out ‘Hots For The Smarts’ or ‘Don’t Step On My Jimmy Shands’), there is ability to reflect the variance of all human emotion within his work. Whether this is the best place to start with Richard Thompson’s work (shame on you! Get with the programme, Godammit), as opposed to a compilation of better-known tracks is open to debate. Half a century’s work that has been covered by artists as diverse as Dinosaur Jr, Elvis Costello and June Tabor (and that’s a small list of those who have covered his work) is going to give a lot of people a lot of individual favourites. For my money, it demonstrates an important cross-section of his work, showing why he is so highly regarded and why his fanbase continues to grow. Hell, while many artists of his age are losing their singing voices, Thompson sounds ever more powerful. 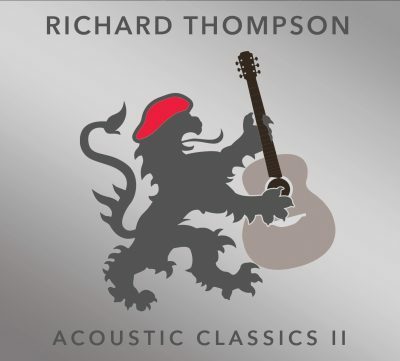 If you haven’t heard Richard Thompson’s work before, there’s nothing to be lost by starting here. If you are an afficianado, you’ll want this as a wonderfully listenable example of his work. Acoustic Classics is released on August 11. 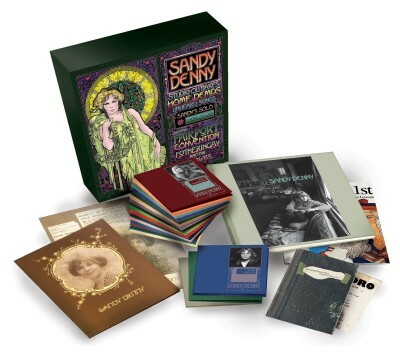 Reportedly, this Sandy Denny-sung and written Fairport Convention song was the first song she ever wrote. Whether that’s true or not, it’s a fact that this is one of the beautiful songs ever written. Stream the video then go and buy Unhalfbricking, also featuring Richard Thompson. Or at least, Folk Rock type stuff. Maybe not the stuff I normally post here at 17 Seconds, but as a blogger rather than an editor who has to answer to people…why not? I’m by no means an authority on this genre (arguably, I’m not an authority on any genre) but this seems to fit with what I want to listen to tonight). 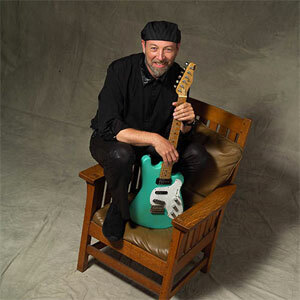 Of course, playing Fairport Convention led me to someone I love, even though I’m far from an authority on his very wide body of work: Richard Thompson. As well as his solo work, and being guitarist for Fairport Convention in the sixties, Thompson also made some damn fine records with his then wife, Linda. And because it kinda fits with what I want to hear tonight, it may be obvious, but why not?